Huawei air blowers have a proven track record of keeping inflatables in good shape, be it jumping castles or inflatable movie screens. A small 1HP (horse power) blower is capable of keeping a 6 metre outdoor movie screen in a perfect shape for a movie night, while a 2HP air pump is the best choice for big commercial jumping castles. However, these blowers not only breathe air into inflatables. Recently, we have learned about a very unusual application for the jumping castle blower. 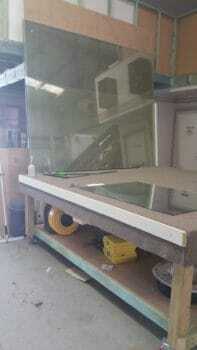 It is used by furniture manufacturers for glass cutting. Have you ever tried lifting a piece of glass? The task is not an easy one. To move the glass or mirror on a glass cutting table, one would need a cushion of air to remove frictional force between two surfaces. This air cushion can be created by upward air supply via the holes in the table. 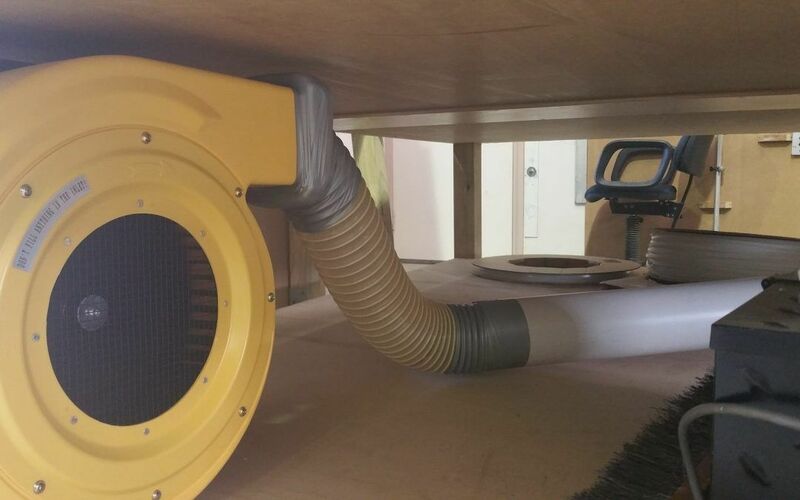 The blower is situated under the table and blows air into a cavity. The air is then directed through a series of holes on the surface of the table. The upward flow of air lifts the glass, so that it floats several millimetres above the cutting surface. This allows manoeuvring the sheet of glass, which means one glazier can handle large sheets of glass! Huawei air blowers are successfully used in this application by JBL Glass, manufacturers of beautiful glass shower screens and built-in wardrobes. They offer customised solutions for their customers in Port Macquarie and surroundings. Smart Digital is delighted to assist this small business in their everyday work by supplying a 2HP blower from Huawei. Do you have a story to share about your air blower? Write to us – we are always interested in your feedback!